A small ribbon, given to officers of all ranks for first-rate activity and conduct, can be awarded multiple times. An officer of any rank can be awarded this ribbon; it is for recognition for much hard work done that has uphold the principles and prestige of the Federation Command. Can be awarded once only. Awarded to a officer who dedicated his time and energy to enhance the image of the Federation Command without compromising his duties. An officer with who has recruited five or more members into our clan will recieve this. Advanced version of the above, awarded to a officer who dedicated his time and energy to enhance the image of the Federation Command without compromising his duties. This award is given to an officer who has brought prestige to the fleet. Awarded on behalf of the admiral's council to an officer who has accomplished a single formidable feat that greatly contributed to the success of the fleet. Can be awarded by any Commanding Officer to a subordinate who has done a incredible job during an assignment. Can be awarded once only. Awarded to an officer who has advanced the name of the Federation Command by winning a non-wartime victory against an officer who is of some significance to the game they play. For instance: Beating the CO of a fleet that has in some way denounced our superior gaming ability. Awarded to each and every officer who participated in the re-openeing of the fleet in 2011. Awarded to Officer whom has contributed to the Academy. The person was invaluable and a wonderful officer to have around. An Award for Cadets whom have shown themselves to be capable pilots. Awarded for attention to detail, ability and form. This ribbon is a pre-2005 merger FC war ribbon - the result of this war was a clear victory for FC and its allies. The first war against the SFC3 clan 53rd who challanged FC superiority, the result of this war was an outstanding victory for Federation Command. This ribbon is a pre-2005 merger FC war ribbon. This ribbon is a pre-2005 merger FC war ribbon. The United Federation of Planets was a result of a merger between FC and FEDS that lasted over 6 years. A war easily won against a SFC3 clan shortly after their defeat the clan closed. A war against a trouble maker clan "Star Fleet Tactical Force" that disturbed the whole community in many Star Trek games. The war ended with a 90+ % of victories for UFP. A outstanding victory against the UFDF-XFS alliance. We have lost no war engagement during this conflict. It would be fair to mention that most of the war games were played against UFDF since XFS is a non trek clan. The Democratic Federation of Planets, a fleet created by a handful of former UFP officers who tried to make a rebellion while trying to poach from our ranks. DFP Admitted defeat on February 4th, 2008. 24 Engagements won versus 4 loses. 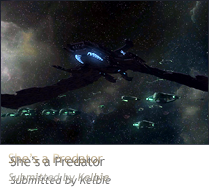 A war against the "Devil Dogs" and its allies who disrupted the Star trek Bridge Commander community with their submit or die policy. A outstanding victory for UFP with 1,482 kills versus 479 loses. A war won easily against the scourge upon Bridge Commander by the name of the Imperial Order Clan. Awarded at the 10th posted Battle Report. Awarded at the 40th posted Battle Report. Awarded in recognition of achievements and victories in combat with other non FC officers in game play with which w are not at war. Can only be awarded to officers that possess the Normal Merit Ribbon. Can only be awarded to officers that possess the Tier 1 Ace Comabat Ribbon. Can only be awarded to officers that possess the Tier 3 Ace Comabat Ribbon. Can only be awarded to officers that possess the Tier 4 Ace Comabat Ribbon. In recognition of service to FC in promoting the fleet, and actions to extend the influence of FC in gaming and other online activities. Can only be won by officers that possess the Normal Merit Ribbon. Can only be won by officers that possess the Tier 1 Meritorious Service Ribbon. Can only be won by officers that possess the Tier 2 Meritorious Service Ribbon. Can only be won by officers that possess the Tier 3 Meritorious Service Ribbon. This medal/ribbon is the highest non-war time honor an officer can receive. It is awarded by the Veteran's Council to an officer who has shown extraordinary leadership qualities thus contributing to a climate of respect and stability in the fleet. The candidate is judged on his professionalism, humility and judgement. Awarded to the officer who, in the Admiral's Council Judgment, has been one of the most effective pilot in a war. The recipient of this distinguished honor must have done something remarkable to the fleet, or served it above and beyond the level of expectations, being superior in all aspects of the online gaming experience. Is often someone others look up to, and is a natural leader. Awarded by a majority vote by all serving members of the Admiral's Council. Awarded to the officer who scores the most kills for our side in an engagement. This medal is the most valuable wartime medal available as the bearer has shown him/herself to be the best fighter within the fleet. Medal awarded to all officers added to the hall of fame complete definition can be found on the HOF page. Awarded to an officer who has shown their dedication to the Federation Command and its officers awarded to someone who has given a piece of their soul to make FC a better clan. Must have served at least one year in the fleet. This is a special award given by the Fleet Admirals to a particular officer. Normally, this officer has given their time and support to the Fleet Admiral in time of need. They were an invaluable asset and a wonderful officer to have around. This award can only be given once and only by the Fleet Admirals, souly on their discretion. Signature dimension medals shown above full dimension medals are available on demand.